Whilst at RSHP both Directors, Stuart Forbes and Neil Southard, worked on the development concept, detail design and build out of various phases of the complex. Chiswick Park is a business park located within an existing built-up area on a brownfield industrial site formerly Chiswick Bus garage. The conceptual approach to the masterplan focused on separating vehicular movement consigning to the perimeter of the site and creating a spectacular public parkland forming the heartbeat of the site, open to all, offering open-air performances and activities, a scenic lake, waterfall and nature reserve. The site is located off Chiswick High Road in West London close to Gunnersbury Underground Station. The award winning project offers 185,000m² of office space spread between twelve buildings, including a restaurant and bar. Within each building provision is made for car-parking and plant. The buildings at Chiswick are standardised using off-site construction technology and in doing so securing economies of time and cost. The project reflects the conviction of the developer Stanhope that high quality can be achieved using standardised components and a Construction Management procurement route. The aim was to produce a development that is highly distinctive and yet buildable within commercial constraints. The office buildings contain highly flexible space that can be configured in open plan or cellular form. A central core, surrounded by uninterrupted 18m deep office plates, is assisted by the use of external escape stairs which contribute to the scheme’s distinctive identity. 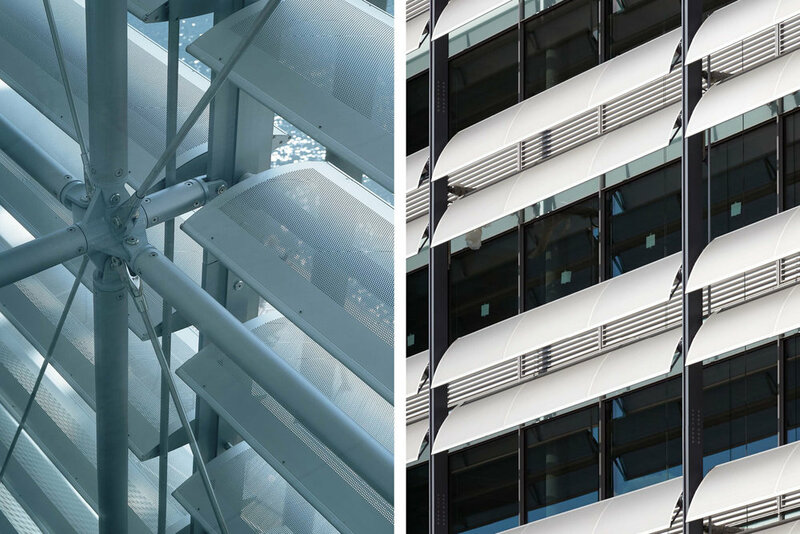 The additional phases the team at RSHP developed the second generation buildings which re-appraised the sun shading and environmental control of the buildings. The designs borrowed much from the first phase buildings in modularity and construction techniques but pushed new boundaries in climatic control and passive shading by the use of dramatic large scale external louvers.